GRUPA KUPSIK sp.z o.o. sp. k.
Kupsik company operates in the metal industry since 1982. In the first years, the company had two employees, now we have employed 150 professionals. In 2007 the company headquarters was moved to a new production complex with a total area of 2.6 ha containing production hall, the line for cutting lengthwise, storage and administrative building. In 2008 we put into service our own fully automatic galvanizing. Our main product are the profiles, corners, hangers and other metal accessories made of galvanized steel, aluminum and stainless steel used for installation of ventilation ducts. Our system is based on "K" system, which provides a modern installation of ventilation and air conditioning in public buildings. We are also a manufacturer of metal fittings for the manufacture of tarpaulins, tents and banners. We also provide profile services on request (window profiles, flooring and other). 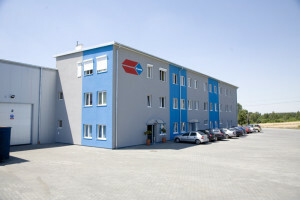 Our customers are based in Poland and many European countries. We strive to keep Kupsik name associated with high quality, affordable price and qualified service.